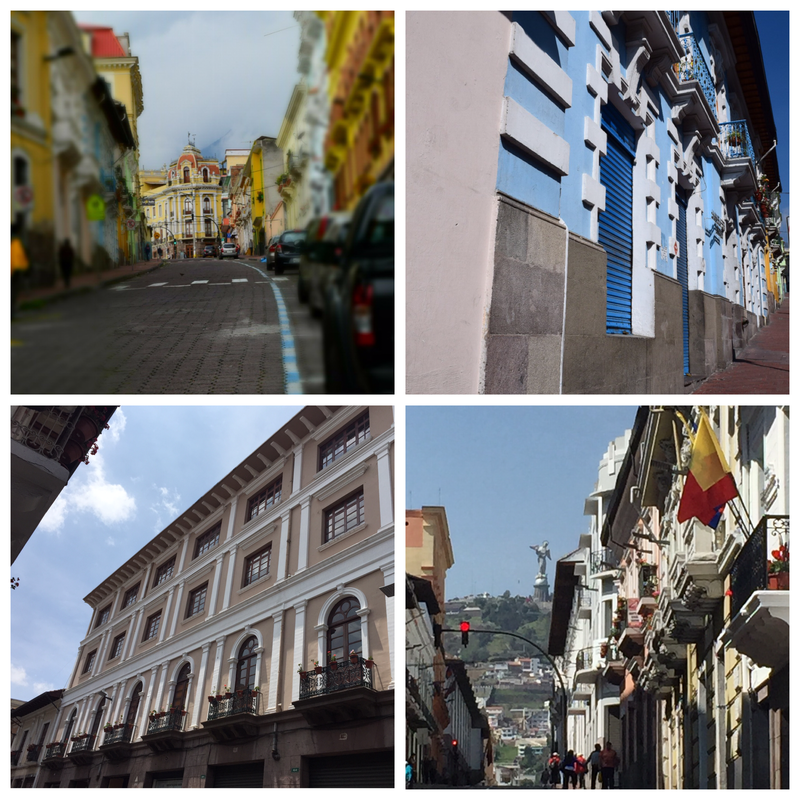 There is a beautifully preserved colonial Old Town – a UNESCO world heritage site that I loved exploring on foot. The buildings are so lovely and there are museums and of course, the churches. 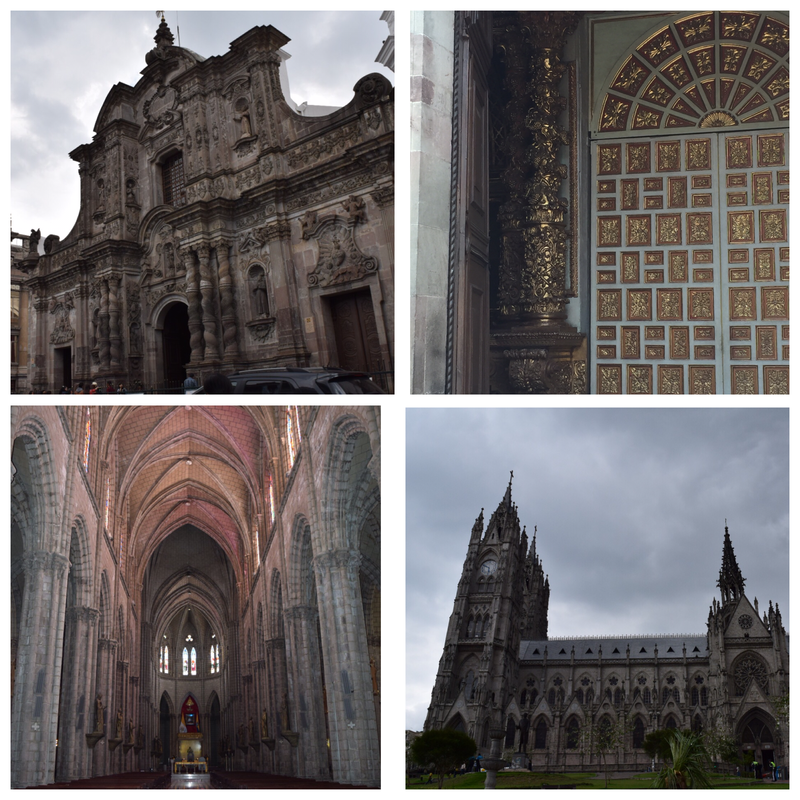 My absolute favorite place in Quito was La Iglesia de la Compañía de Jesús – this is a fantastic Spanish Baroque church and I immediately see what it is called the country’s most beautiful iglesia and I agree. They ask that no pictures are taken so you will just have to go and experience it yourself. I explored a few of the other churches as well including the National cathedral. 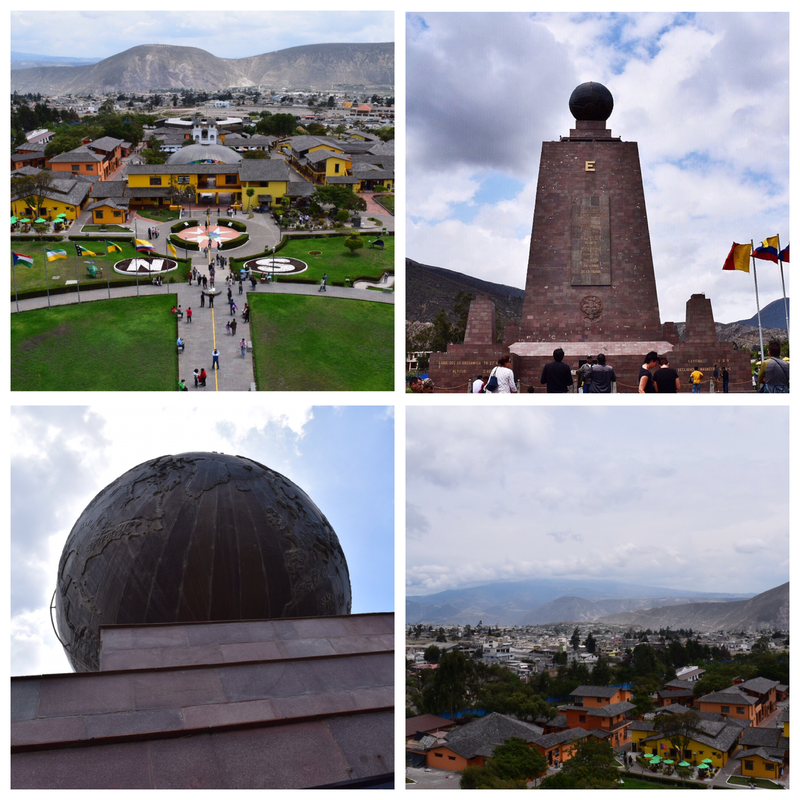 El Mitad del mundo – the middle of the world – what we call the Equator (would be confusing here since Ecuador translates to equator). Apparently it is the most visited site in this country and when in Rome, or Ecuador… I could not get over how disconnected this place was from the rest of the country – using your credit card here is impossible (well technically some places will take it but you have to pay a 6-22% fee) and finding an ATM that works with your card is a test of patience but at Mitad deal Mindo, the tickets sold have bar codes and the turnstiles have scanners and the museum has holograms and touchscreens. Maybe I am looking at this all wrong and I should see that it is the vision of where the country wants to be and shows the hopeful nature of this small Andes country. Especially the signs for the exhibits with many “coming soon” – too bad I will have to come back to find out what a touristic train is. So what makes travel so great for me? Sometimes it isn’t where you are or what you see but who you meet along the way. 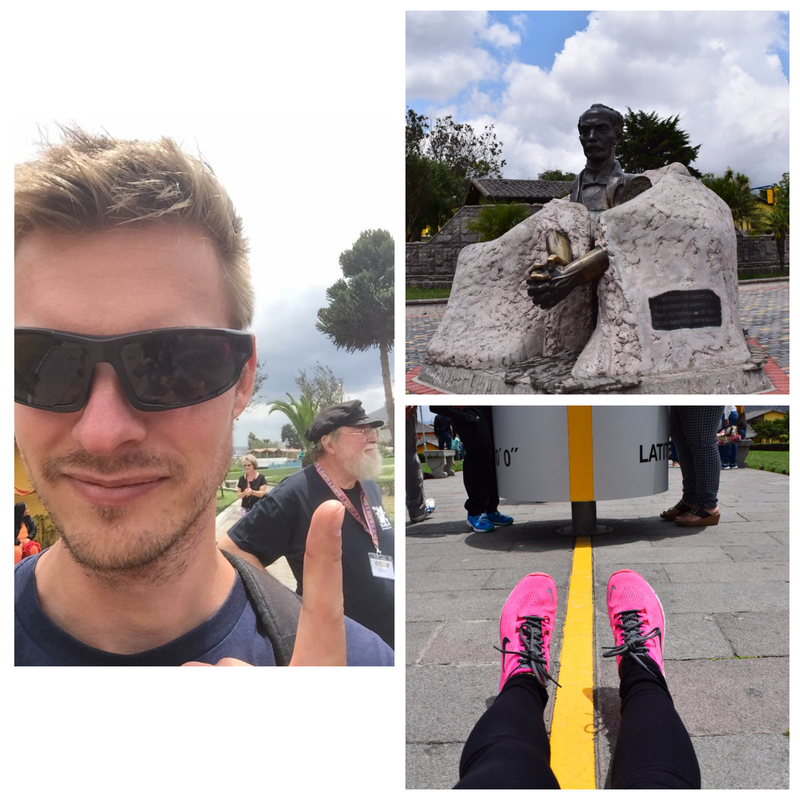 It is the connections you make – he’s Dutch, I’m American and we end up laughing our way through what is really a tourist trap in Ecuador. What could have been considered a waste of time or money becomes enjoyable because you have these great memories now. Such as when you see George RR Martin (ok a doppelgänger probably) and have to restrain yourself from asking him when is that next book going to be done? Or this statue – proving art doesn’t need to be understood or beautiful – it exists for art’s sake, though I did take awhile to try to get to it’s meaning! 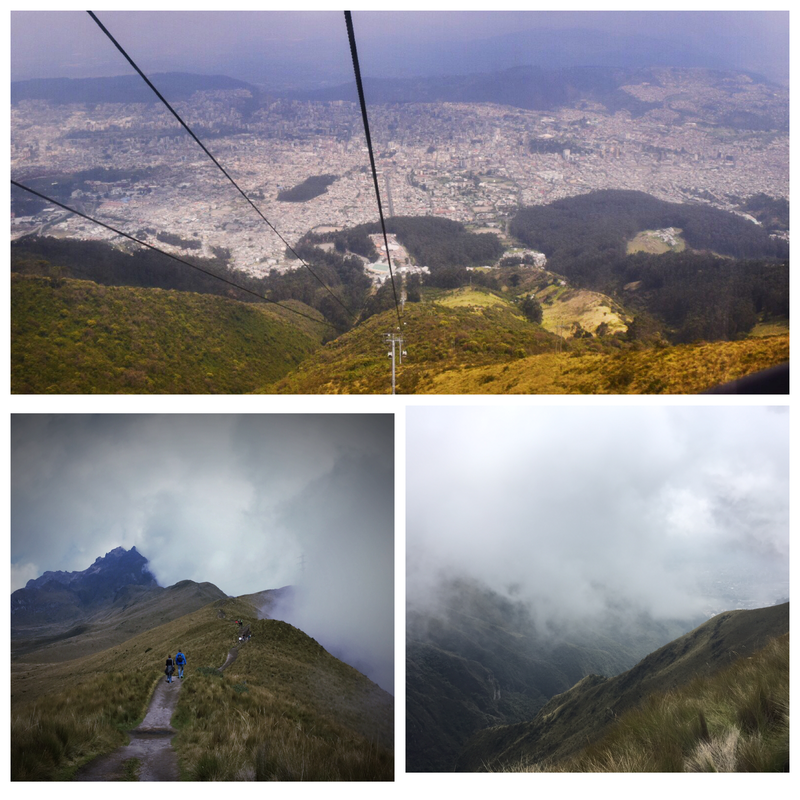 El Teleforico – Ecuador’s gondola and where you can hike Volcán Pichincha. It’s cool and scary to be able to hike an active volcano especially when you had your heart set on hiking Cotapaxi that is closed currently because of recent activity. You can also just take the Teleforico up for some amazing views. Top right photo: Washington (preferred that I didn’t share a full picture of him). I met him while I was waiting at the Teleforico for a cab. He works for a large hotel company and was dropping off guests there and offered to take me back to the city for the price of a cab. We chat and he offers to take me on a private tour when he learns I would like to go to Mindo the next day. I take him up on it as I get a fully customized tour for an amazing price even being able to leave at 6:00am! It was such an amazing day – I hope that he is able to open the small hotel in Mindo he dreams of and that I am able to visit him there some day. Virgen de El Panecillo: This it the statue that you see atop the hill that offers a 360 view of Quito and the surrounding volcanos and mountains. I heard from many people including two police officers to not walk up to the statue and to take a cab. But since I had already been to Mitad del Mundo, Washington took me here and I was lucky the sky was so clear and it would be the closest I would get to Cotapaxi this trip. 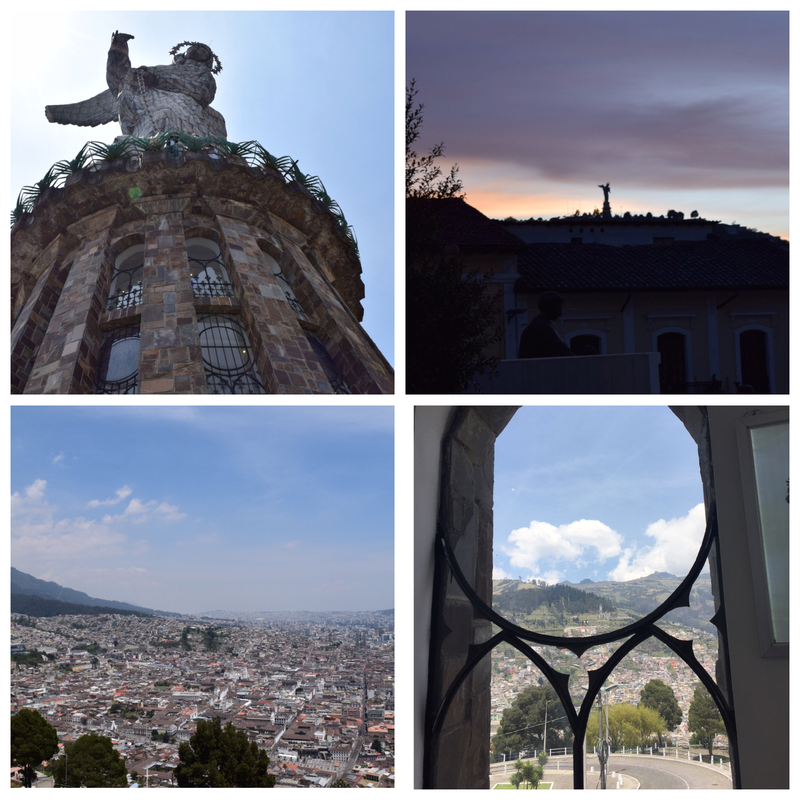 Be open to the world – I do love the amazing and random connections that are made in travels! So I love to just walk around in cities to get a feel for a place and to meet new people. 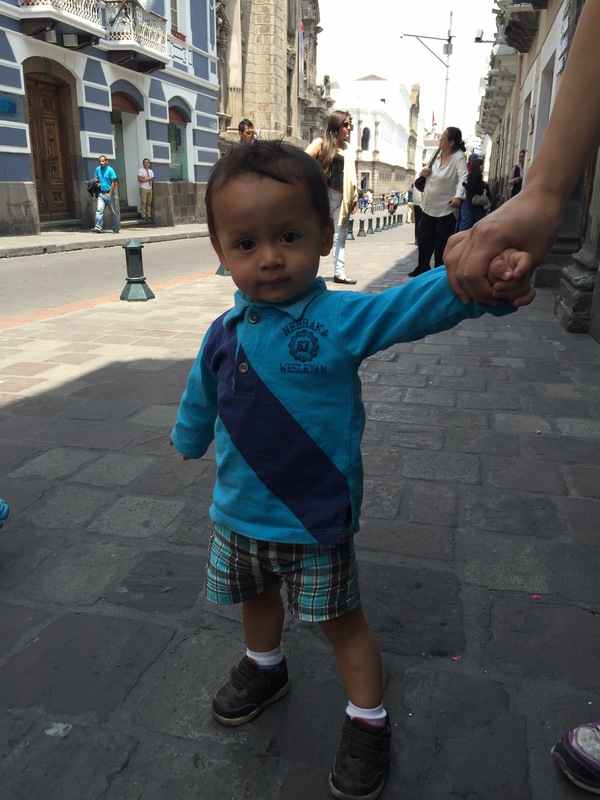 Here is Juan Diego – mi amigo- so cute – he sees me walking and we wave to each other and say hi! We even shake hands and play for a bit. After when I am leaving, he follows me and holds my hand and then cries when mom takes him back.